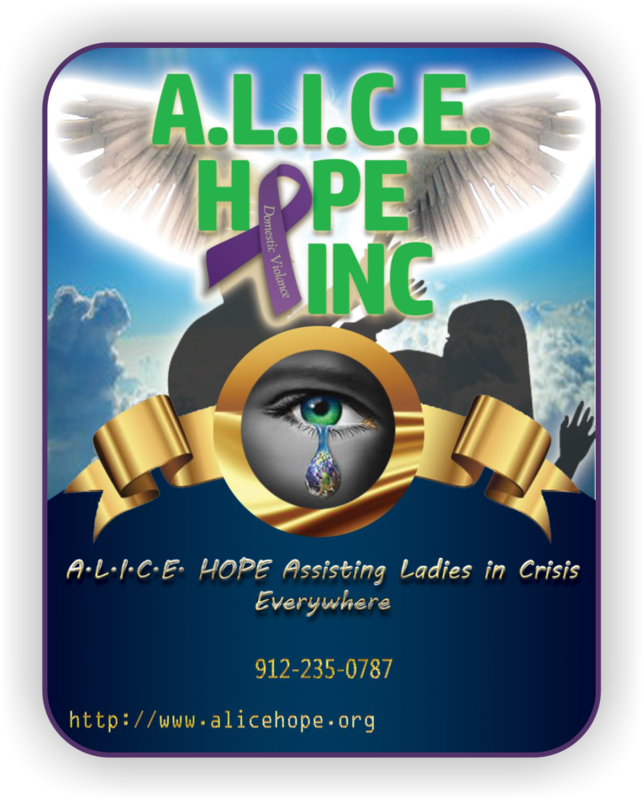 A.L.I.C.E – Hope Assisting Ladies in Crisis Everywhere! Hope Assisting Ladies in Crisis Everywhere! Our mission is to transform lives and save lives of women and children who are in or are survivors of domestic violence. 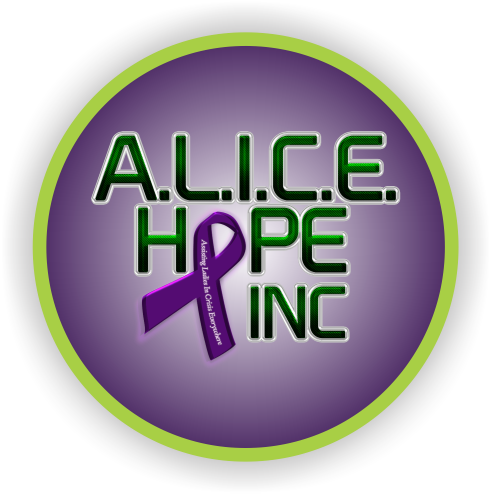 © 2019 Copyright - A.L.I.C.E Hope Assisting Ladies In Crisis Everywhere. All Rights Reserved.